Are you looking for natural allergy relief remedies that work? 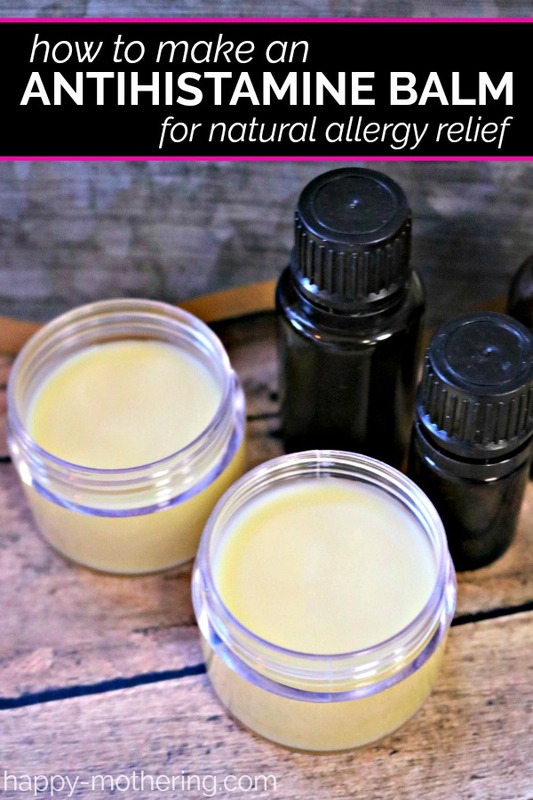 Learn how to make our natural DIY antihistamine balm featuring essential oils quick allergy relief. Or you can buy a pre-made antihistamine balm. 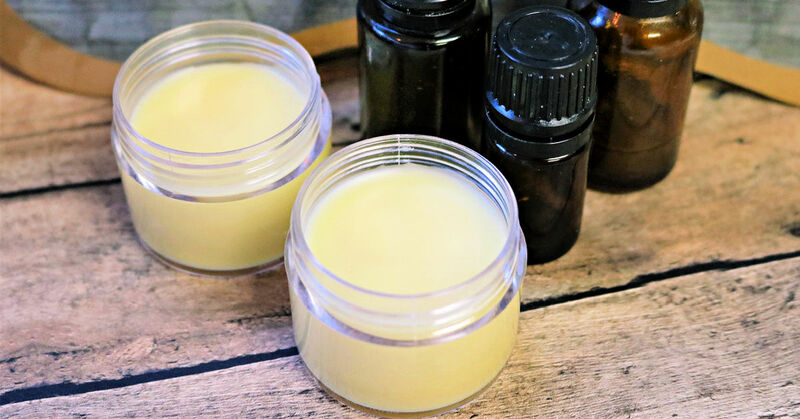 Making your own balms and salves is a wonderful way to use essential oils in your life, along with other great ingredients that are shown to be natural remedies. Or you can buy a premade antihistamine balm if you’re short on time. It’s beneficial to use a balm rather than an oil alone for a few reasons. First, it’s important to dilute your essential oils for safety. 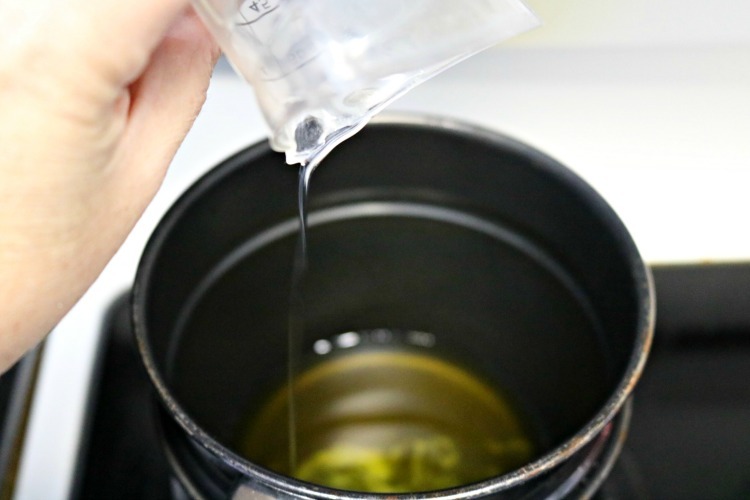 Second, by adding nourishing oils like coconut oil and sweet almond oil with beeswax, the effect will last much longer because the oils can’t evaporate so quickly. 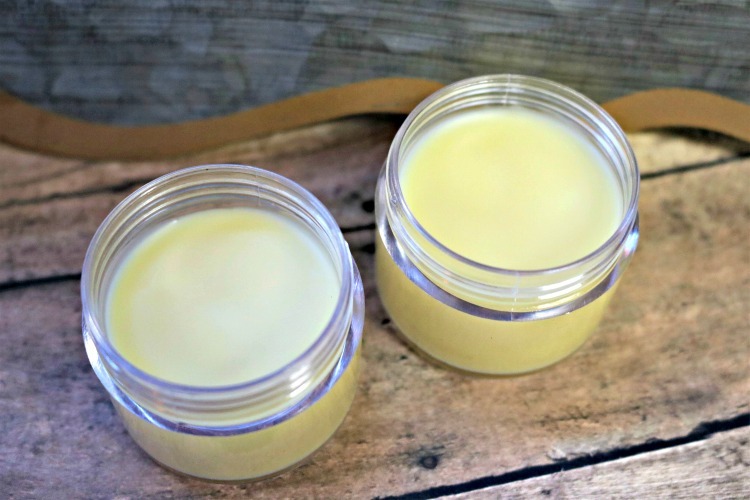 This antihistamine balm recipe is one we can all use for natural allergy relief from time to time, and it can be used for relief of seasonal allergies, sinus issues, nasal congestion, eye and throat irritation, allergies in general or to apply to bites, stings or rashes. The combination of ingredients in the antihistamine balm will help reduce swelling and relieve itchiness. It is a great natural remedy for allergy relief to keep on hand at home, but also wonderful for a first aid or traveling kit. We hope that this antihistamine balm works as well for your natural allergy relief needs as it does for ours! If you like this antihistamine balm, you’ll also enjoy our other salve recipes for headaches, sore muscles, dry skin and menstrual cramps! 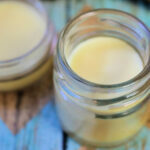 Watch this short video, then make your own allergy relief balm! Or you can buy a premade antihistamine balm here. Using a double boiler, fill the bottom half of the pot about 2/3 full of water and start it over low to medium heat. Measure out your beeswax and put it into the top half over the water. It is best to heat it slowly, so you don’t burn or overheat the wax, which will protect the properties of it. If it burns, you will lose those great benefits. While that is heating up, go line up your containers so they are ready to go. Next, have your coconut oil measured out and ready. If it has solidified and is hard to scoop out and measure, pop it in a bowl of hot water to soften it up. Once the beeswax is fully melted and there are no yellow lumps remaining, stir in the coconut oil and the sweet almond oil. Let them melt together with the beeswax. Once they are mixed together and clear, you can remove the pan from the heat and add the essential oils. All of these oils are a thin consistency, even the frankincense, which comes from a resin, so be cautious when dropping them in. It is super easy to have them get away from you and end up with twice the drops you needed. Now, stir in the oils well to disperse in the balm base. You are now set to pour them into your containers. Take it slowly and leave just a slight gap at the top of the container. At this point, they need to rest on a counter top at room temperature to cool off. Best thing to do is not to move them, so that they don’t spill, and the top will solidify smoothly. After about 30 to 45 minutes, they will likely be cooled off all the way, but this will depend on the container you used too. Check to see by feeling the bottom center of the container. If it is warm still, give them awhile longer. If you put the lids on too soon, moisture will form inside the lid after you close it and you don’t want that. Once they are cooled off totally, put your lids on and make up some cute labels if you’d like. These make awesome gifts for so many occasions! Run your thumb nail, if needed, to loosen the balm and then take a small pea-sized amount and rub on area desired. If it is for breathing or sinus, rub on chest, neck, or just under nose. It can also be put on the bottom of the feet. Apply directly on top of bites and stings. 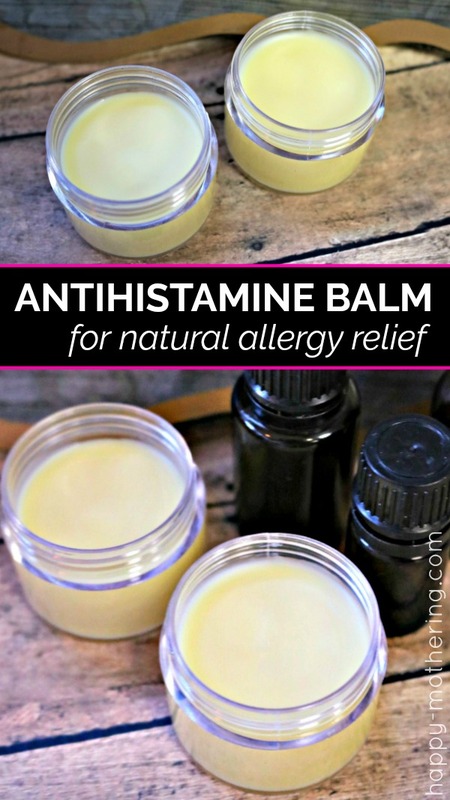 How will you use this antihistamine balm for natural allergy relief? Just FYI, you really have to be careful with lemon (and all cold pressed citrus oils), because they can be phototoxic and cause serious damage if you put them on right before heading out into the sun. This looks like a great recipe for nighttime, (and a great balm base recipe). Just maybe not before starting your sunny day fun. If you get steam distilled you don’t have to worry about that. Maybe I missed it but I would love to print this recipe. Much easier to make it than trying to keep the computer on. Thank you for sharing. It looks wonderful. Just exactly where do you place the essential oils? If I don’t have lemon essential oil can I either omit it all together or use fresh lemon juice?? Don’t use fresh lemon juice. The balm will lose its shelf life. It would be better to leave it out, but it’s best if you can use it. It’s one of the most affordable oils. Is this safe for small children?? What’s Th youngest age that this recipe is safe for? Thanks. Most often, Peppermint essential oil isn’t recommended for use on children under 6. Do you know off hand the dilution rate? I’m still learning this. I would love to use this on my 7 (8 in August) daughter. Thank you in advance! What could you substitute for the coconut oil? I am allergic to coconut. You can use plastic although it’s best not to put citrus oils in plastic containers. Make sure it’s essential oil safe. Actually, this is a safe dilution for the lemon so it should be safe for day time use. 12 drops per ounce of a carrier oil is a safe dilution. topical skin application or nasal application? Does this work well for hay fever symptoms (sneezing, itchy watery eyes, itchy throat)? If so, how would you apply for irritated eyes? I use this formula without the frankincense in a rollerball and just rub a tiny bit under each eye for my son. Then blend in with my fingers. I only have lumps of frankincense if I powder it can I use the same amount? This will be perfect for my demographic skin thank you! If you have hayfever take a teaspoon of local honey every day for around three years and you will be cured. While you are doing this you will not have any hayfever symptoms either! It takes a few days to kick in but far better than taking drugs. We also take local honey, but since we live in a national forest we get a bigger dose of pollen than most people. I haven’t worked with powders in salves before. I’m not sure how they will blend in. If you try it, will you let me know how it turned out? What can I use in place of beeswax? I am extremely allergic to it. You can use candelilla wax. It is firmer than beeswax, so definitely decrease the amount you use. My balm is extremely hard and unusable. Any suggestions to make it softer? 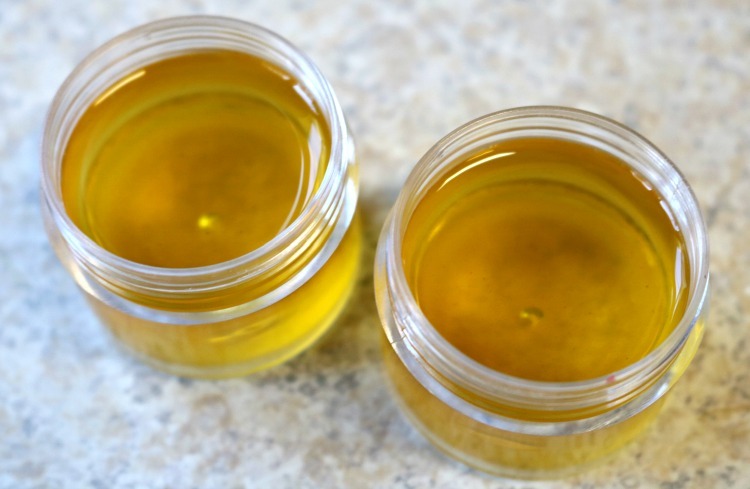 You can remelt and add more oil if the beeswax ratio seems too high in your balm. Could I make this without the Frankincense? I don’t have that oil. Also, is the coconut nut oil fractionated? That’s the kind I have here. Also, can this be rubbed into the forehead and cheekbones for sinus congestion? Frankincense is a key oil, so I’d recommend getting that. It’s not fractionated coconut oil – it’s normal coconut oil. Thanks for sharing. Jojoba absorbs easily since it’s similar to the sebum in the skin. Can it be used on pets who have allergies? I would check with your vet. I wouldn’t recommend trying it without vet approval as most animals are sensitive to these essential oils. My adult son has started itching all over after showers or baths, despite not changing soaps/shampoos etc. He doesn’t want to take antihistamines orally, so I wondered if this balm can be used all over, or if it should be limited to small areas? Thanks. Does this work mosquito bites? That’s a good question. It may be good for soothing mosquito bites. I have a 1 year old with allergies. Is this something that I could use on him, just a small amount on the bottoms of his feet? I would be careful with a child that young. There are some oils that shouldn’t be used on children at all and others that have to be heavily diluted. Would it be possible to get the recipe printed? When I added the other ingredients to the beeswax, they clumped up. I had to remelt it after I put the oils in. Will it still be ok? Do you know why it clumped up like that? The recipe says to apply to bites or stings, are these the only types of allergens this recipe would be good for? Was wondering how to utilize this for a hayfever type allergy? Thank you very much!! It should be helpful with seasonal allergies as well 🙂 The combination of lemon, lavender and peppermint is great for helping with seasonal allergies. I am allergic to lavender— is there another oil I could substitute? You can leave it out or some people like to replace it with coriander. Is this safe for pregnant women to use?